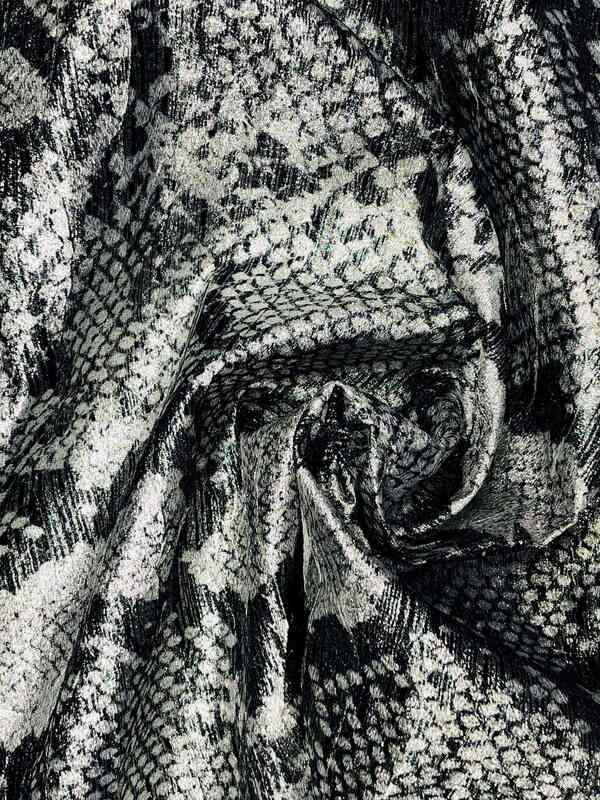 Width: 150cm - 123gr/mtl - 88gr/mq - Composition: 87%PL 13%PA - Grip is a luxurious shiny silver base fabric made by printed lurex with creases. It great for jackets or pants and for bags too! 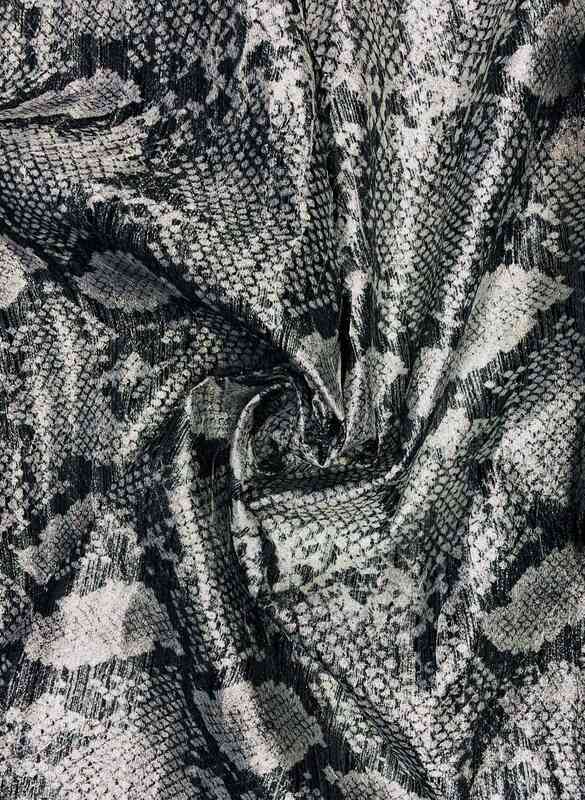 Create your own fabric adding a great design!